Data science sits at the intersection of statistics, computer science and deep business or subject knowledge. 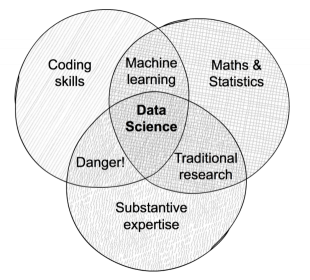 This data science venn diagram, adapted from Drew Conway, visualises how the disciplines that make up data science interact. 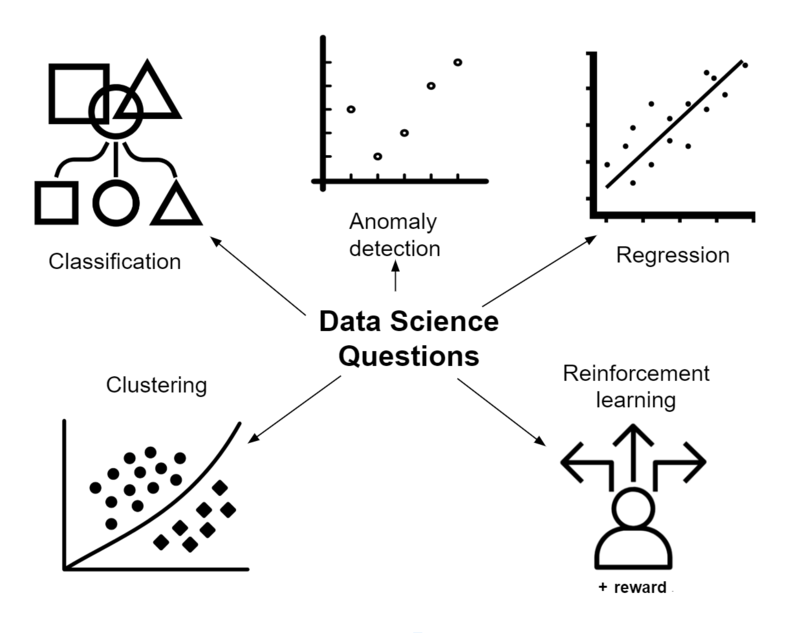 A data scientist may not be an expert in all of these areas. However, they will require a working knowledge of all disciplines and will often work closely with other experts in a multidisciplinary team. Data visualisation is presenting data in a digestible and interpretable way. It helps to understand what the data shows and to communicate insights. How is data science being used in government? The adoption of data science is enabling government to unlock the value of the data it holds. The Open Innovation Team is identifying opportunities for increasing academic engagement to support data science projects across government. If you would like to get in touch with us about our data science work you can email us openinnovation@cabinetoffice.gov.uk or follow us on twitter @openinnovteam. If you want to explore data science further, this post from the Government Digital Service outlines their approach to data science projects and this blog gives some suggestions on how to get started.